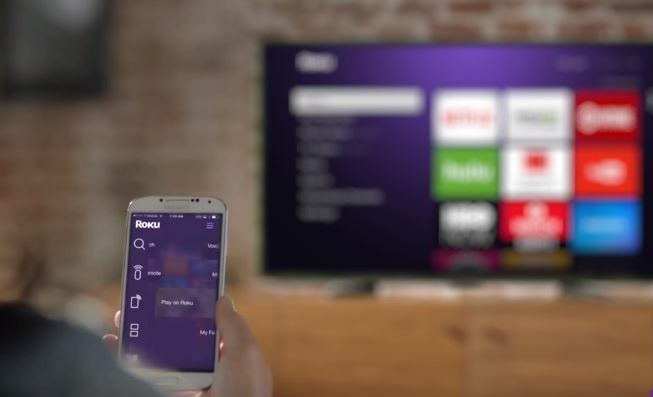 Over the past several years, Roku has become a household name for those who enjoy streaming their favorite shows and digital content without the hassle of an expensive, recurring cable bill. By connecting with your network, Roku gives you instant access to a massive assortment of high-quality content, all through a variety of streaming services including Amazon Instant Video, VUDU, Google Play, Netflix, Hulu, HBO, and over 3,000 channels. Although not all of these services are free, they’re much more affordable than your average cable bill, and still have the luxury of providing you access to over 300,000 movies and television shows. Even if your plan isn’t to cut your cable bill completely, Roku opens up your access digital entertainment so there’s always something enjoyable to watch. 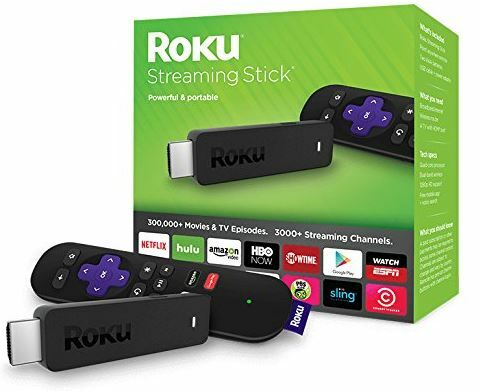 Their latest release, the Roku Quad-Core Streaming Stick (3600R) offers an incredible amount of value as an improvement over their first generation streaming stick, the 3500R, that was originally released two years ago. 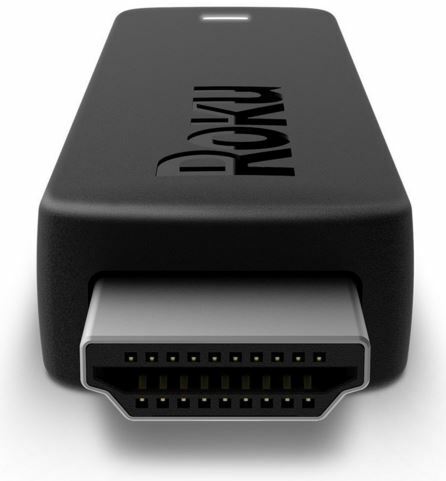 The first Roku Streaming Stick relied on an MHL port for powering it’s video/audio, although at that point in time, many televisions didn’t support MHL. The new release bypasses the use of MHL and plugs directly into any available HDMI port. 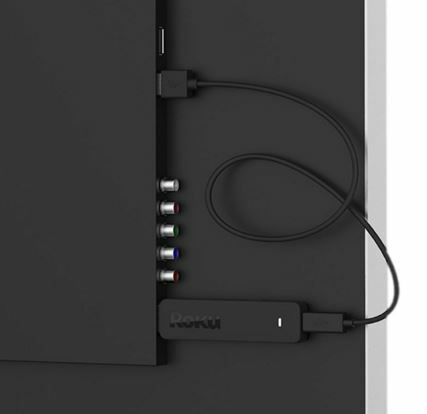 It’s powered by plugging the included 1.5 USB adapter into an available USB port on the back of your TV, or alternatively powered by plugging it directly into a power outlet. Although it doesn’t support 4k resolution like their flagship model, the Roku 4, the new Roku Streaming Stick (3600R) supports full 1080p HD and it has a lot going for it. Today we’re going to take a closer look to see how it’s been improved upon from its predecessor, and what it has to offer in terms of overall features, value, quality, and ease of use. Upon opening the box, you’ll find that a few accessories are included – a 1.5 USB cord, power adapter, a remote control with batteries, and of course, the streaming stick itself. Since it plugs directly into any available HDMI port, you won’t be needing an HDMI cable. Additionally, Roku includes a super-basic set of installation instructions that walk you through the configuration process in a few simple steps. A remote is a crucial component with any streaming media player since having the ability to control your device from across the room is a standard luxury in today’s day and age. But the truth is, not all remotes are created equal. By taking one glance at the remote for the new Roku 3600R, you’ll likely notice that the size, shape, and style hasn’t changed a whole lot. There’s buttons for playing/pausing, going forward/back, 10-second replays, and also navigational/directional arrows centered around an “OK” button. What’s changed is something very noticeable, important and quite useful. Instead of operating with infrared, the new remote utilizes WiFi to connect and control your streaming stick from a distance. Because of this improvement, you no longer need to have a “line of sight” between you and the TV. Let’s face it – since it plugs directly into an HDMI port, you probably won’t have a direct view of it anyways, so it’s definitely nice to see an upgrade where it’s needed most. Not a fan of the included remote? Alternatively, you can download the free mobile app for any iOS or Android device, and you’re given total control through your tablet, smartphone, etc. Best of all, this app lets you search by speaking directly into your device. You can skip the manual typing and audibly tell Roku what you’re looking for, all with your own voice. Search movies, actors, directors, shows – you name it. Best of all, you can play your own digital content, photos or videos that are stored on your smartphone or tablet directly on the big screen. From sitting back and relaxing on your couch, simply scroll through your devices gallery and you can instantaneously view it on the television that the streaming stick is plugged into. One of the most notable upgrades on the new Roku Streaming Stick (3600R) is what’s inside – a new and improved quad core processor that’s said to be eight times faster than the original. Right away, upon first time use, it was obvious and quite easy to recognize the increased speed and processing power that this new CPU offers. What this means to you is quicker load times, much less buffering, and an overall smoother and more efficient experience. 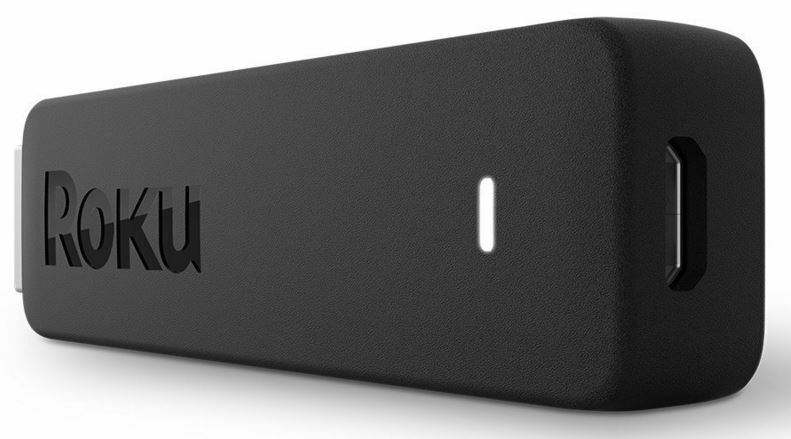 One thing that the Roku Streaming Stick really has going for it, is its size. Designed for ultimate portability, the stick can easily fit in your pocket with a size comparable to a USB flash drive. They also went ahead and ditched the original purple color for a sleeker, black color-scheme that looks great. And since you don’t necessarily have to use the included remote, you aren’t required to bring it around with you. Using the mobile app is a much better option anyways. Since it’s designed to with portability in mind, Roku has included their very own Hotel & Dorm Connect feature for easy use while you’re on the go. If you decide to bring your streaming stick with you while you travel, you’ll likely need to connect to public WiFi that would originally require a web-browser login. The Hotel & Dorm Connect feature lets you login through the browser on your smartphone, tablet or laptop so you can instantly use the stick in virtually any location. Watching a show or movie by yourself can be quite enjoyable, but keeping your entertainment to yourself usually isn’t always a possibility. By taking a look at the included remote, you’ll notice that there isn’t a headphone jack, so you won’t be able to plug your headphones directly into the remote for a private listening experience like you can with the Roku 3 or 4. However, private listening is still available – through the mobile app. As long as you have it installed, all of the audio can bypass the speakers of your TV and emit directly from any pair of headphones that you have plugged into your mobile device. This feature is exclusive to the new 3600R streaming stick and not available even on their flagship model. Although the Roku Streaming Stick (3600R) has quite a bit going for it in terms of features, there is one thing that may be of concern for some. Although it’s plenty portable, it’s actually quite thick in size. In fact, in some situations, you may have a difficult time plugging it into a tight space. The back of some TVs are notoriously minimalistic which could make plugging it in a bit of a hassle. Although we haven’t found a TV that it couldn’t work with because of its size, there are definitely some situations where the stick needs to be carefully pushed in and may rest at a wedged angle. It’d be nice if there was an HDMI adapter that extended the plug for situations like this, but it likely won’t be a total game changer for most. Browsing through channels, apps and content is all done through the same classic interface that Roku has been using for 2-3 years now. It’s in a standard 3 by 3 grid pattern with apps and channels displayed from left to right. At anytime, you can press the home button and you’ll instantly go back to the home screen. From the home screen, you can quickly access everything you’ll ever need – search, settings, browse, check news, etc. We found that the search platform was quite useful. Whether you’re searching by title, actor, or director, it will search through everything and give you the best results, rather than searching through a single app or a specific channel. Best of all, the search results are incredibly helpful since they’ll outline the price (if applicable) of the content through various apps (if available) so you’ll always find the most budget-friendly content available. Although you do need a reliable, high-speed internet connection to fully utilize the new Roku Quad-Core Streaming Stick (3600R) to it’s highest potential, most networks can easily deliver the speeds you need. We recommend a connection with at least 15 megabits per second for the best possible experience without lag or latency issues. The new quad-core processor offers a huge improvement over its predecessor by assuring fast speeds, no lag, and more computing power than ever before. Although it doesn’t support 4k resolution, it definitely has a lot of perks going for it. 1080p high definition, a mobile app, private listening, and a Hotel & Dorm Connect feature that makes bringing it with you an easy decision. Overall, the impressive $49.99 price tag assures that you don’t necessarily have to spend a lot to enjoy a lot. 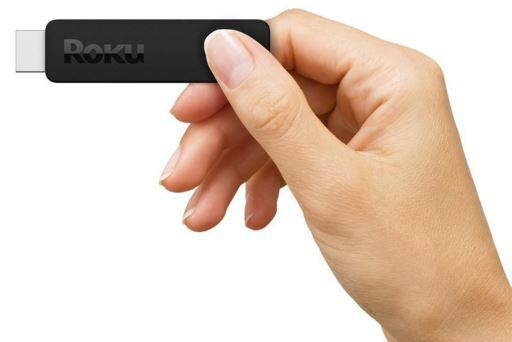 Giving you access to thousands of channels and a wide range of apps, there’s plenty of value showcased in the new and improved 3600R Roku Streaming Stick. This is the first streaming stick I’ve ever bought. Worked great for the first week, then began to freeze up and slow down when browsing through the menu. I just read one review where they said it worked better when plugged into to AC adapter instead of the USB port. Gonna try that.